Noel Mullins’’ latest book titled ‘The Irish Hunter’ is a pictorial portfolio of some 500 images taken in his travels in Ireland and abroad over the last 20 years. It illustrates the exceptional ability of this marvellous horse tackling a wide variety of natural cross country fences such as stone walls, ditches, streams and double banks, to man-made fences such as gates, wire, pallets, and even a bed post and a church pew that one can occasionally come across in the Irish countryside! 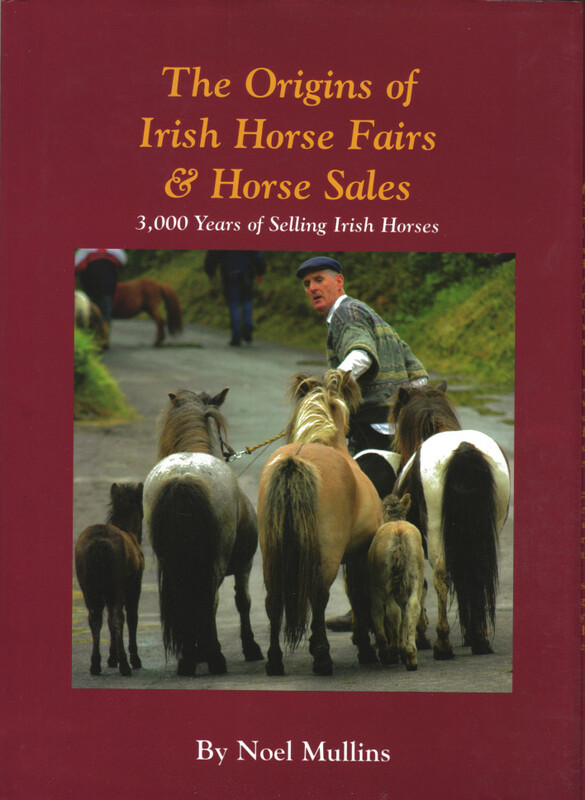 In the introduction the book looks at how horses originated in Ireland from wild horses 28,000 years ago to domesticated horses circa 2,400 BC, and some of the various breeds of horses that graced the Irish countryside in the meantime. Horses such as the Irish Hobby, the Garraun, the Cushendall, the Rathlin, and latterly the Irish Draught Horse, the Connemara Pony and the Thoroughbred whose offspring give rise to what we know today as the Irish Hunter, also known as the Irish Draught Cross and the Irish Sport Horse. 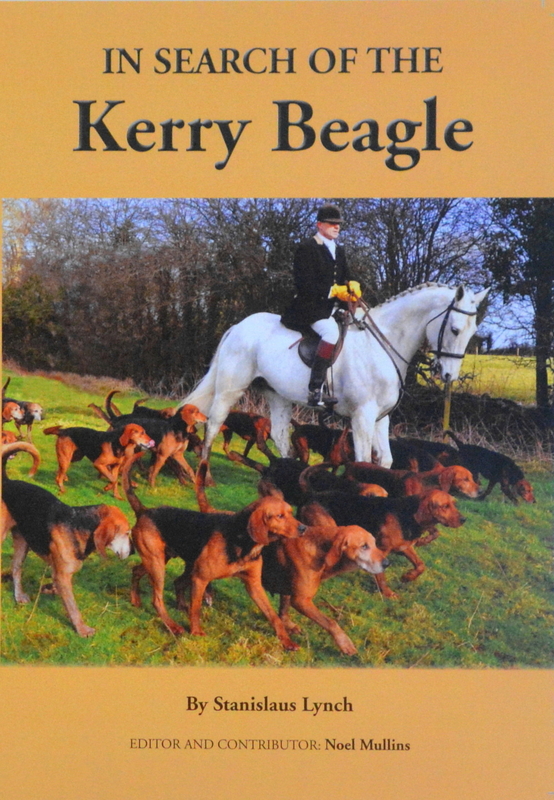 As a testament to the temperament and the popularity of the Irish Hunter the book shows a number of well-known individuals over 80 years of age who have hunted regularly as octogenarians. But the images don’t only show Irish Hunters in the hunting field, as we also see action images of ladies crossing country Side Saddle, including riders participating at the Athlacca cross country charity event, the Antler Challenge, Ballymacad Hunting Extravaganza, Hunter Trials, Eventing, Hunt Chasing, National Hunt Racing and even a trio of pure Irish Draught horses that specialize in dressage, one of whom has reached Prix St. Georges level, one level away from Grand Prix. 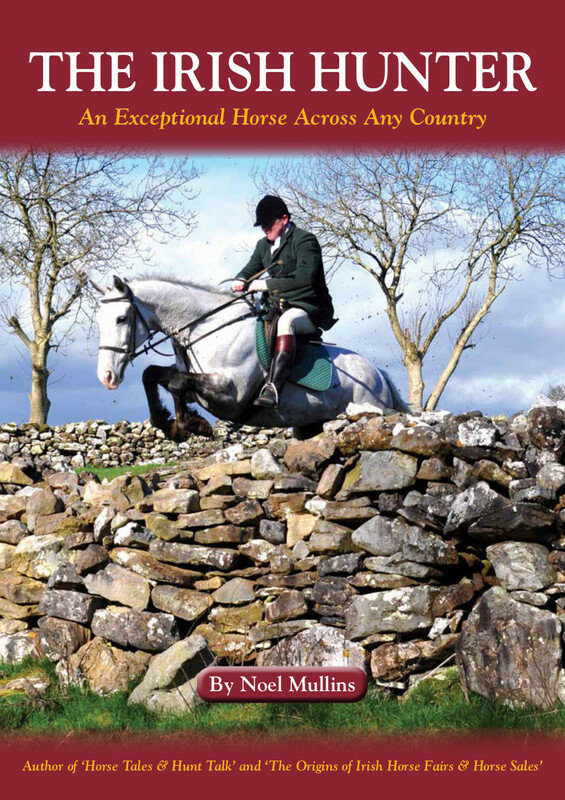 And the Irish Horse diaspora overseas has not been forgotten as the author features Irish Hunters that he has come across in his travels in the UK, USA, France, Italy, Germany, and the Czech Republic. 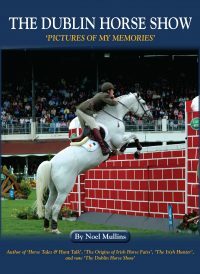 Two of the most popular shows in Ireland are also included, the Dublin Horse Show held in the heart of Dublin City at the RDS sometimes referred to as ‘The Show of a Thousand Hunters’, and some of the Hunter Champions that have claimed the top prizes over the years. The other is the Connemara Pony Show in Clifden that Connemara Pony breeders flock to each August in the beautiful location by the Atlantic Ocean. Why publish such a book? Well many riders around the world who have never seen an Irish Hunter cross the natural Irish countryside and would hardly believe what they are capable of, so here is a live record of what this unique horse can achieve, more often than not with a novice or hobby rider on board. What better reference is required? 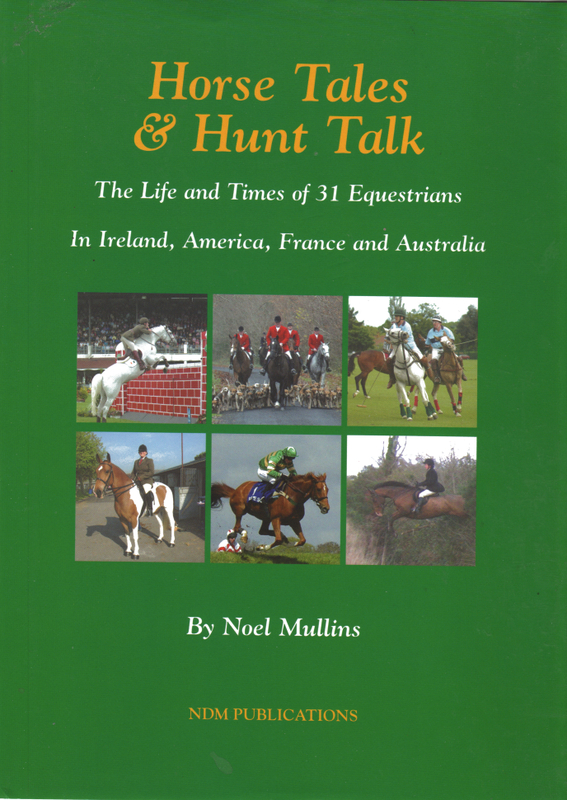 Books also by Noel Mullins – ‘Horse Tales & Hunt Talk’, and ‘The Origins of Irish Horse Fairs & Horse Sales’.